Garvey's father has always wanted Garvey to be athletic, but Garvey is interested in astronomy, science fiction, reading-anything but sports. Feeling like a failure, he comforts himself with food. Garvey is kind, funny, smart, a loyal friend, and he is also overweight, teased by bullies, and lonely. When his only friend encourages him to join the school chorus, Garvey's life changes. 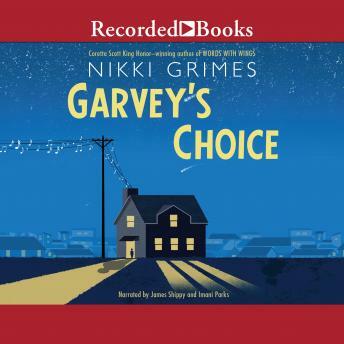 The chorus finds a new soloist in Garvey, and through chorus, Garvey finds a way to accept himself, and a way to finally reach his distant father-by speaking the language of music instead of the language of sports. This emotionally resonant novel in verse by award-winning author Nikki Grimes celebrates choosing to be true to yourself.